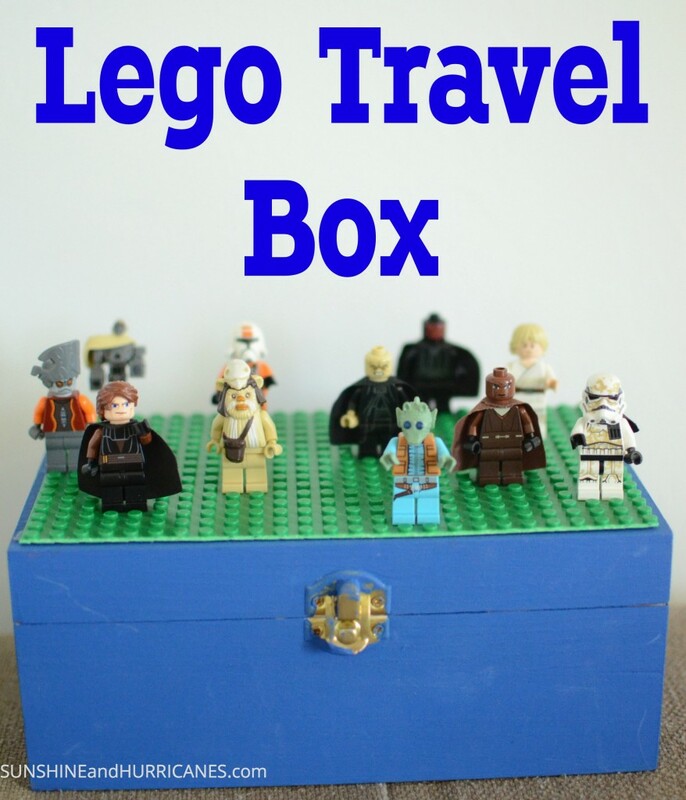 Today I have a fun idea that will help you out when you’re away from the house with your Lego lover, a convenient travel box! 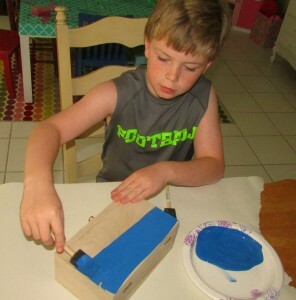 This easy project comes together pretty quickly and is sure to provide hours of fun! 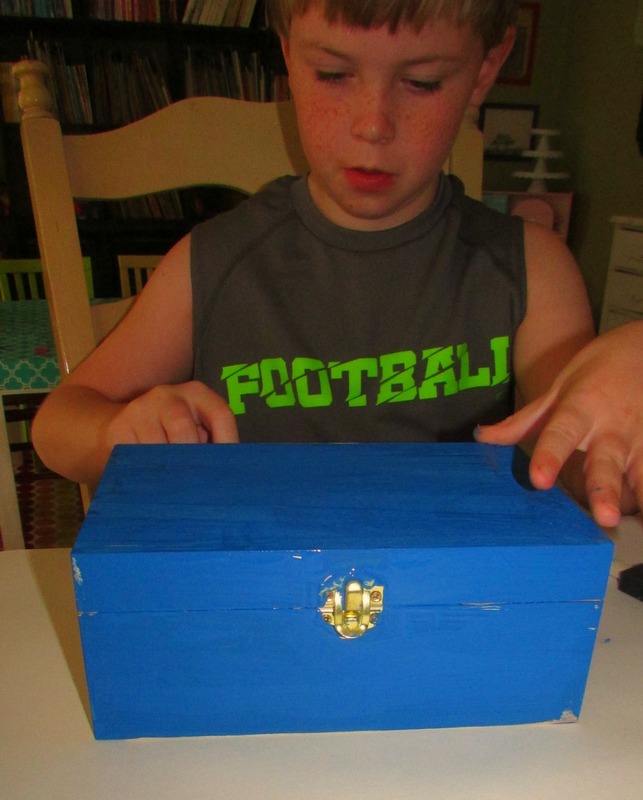 I picked up an unfinished wood box at Michaels for about $5. I wanted to make sure whatever I used had a lid to keep everything in one place since we’d be using this when we were on the go. The first thing we did was apply 2-3 coats of basic acrylic paint all over the surface of the box with a sponge brush. This brush tends to cover quickly and thickly. and it measured 10″x10″, then determined where I could cut so the plate would fit the top of the box. I used a pair of sharp scissors and had no trouble cutting through the plastic. 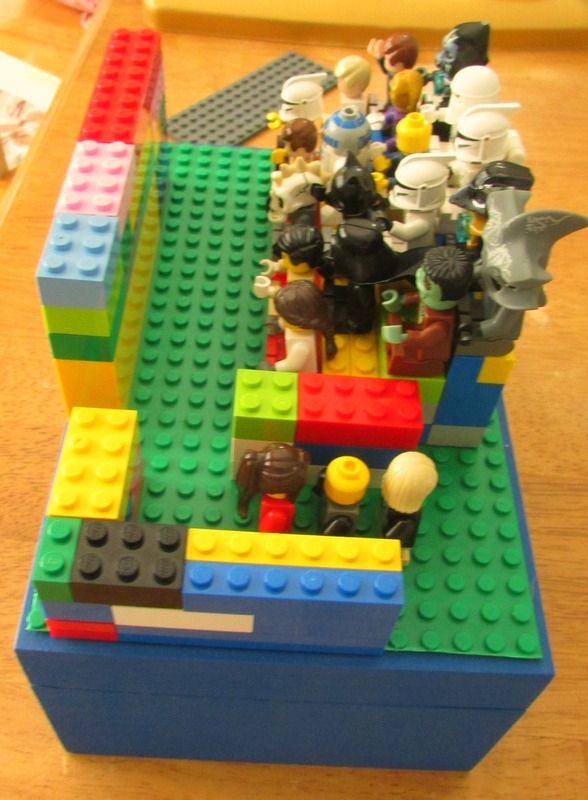 I purposely cut to fit slightly smaller than the top because it would allow me to create 2 complete boxes using only 1 Lego plate. 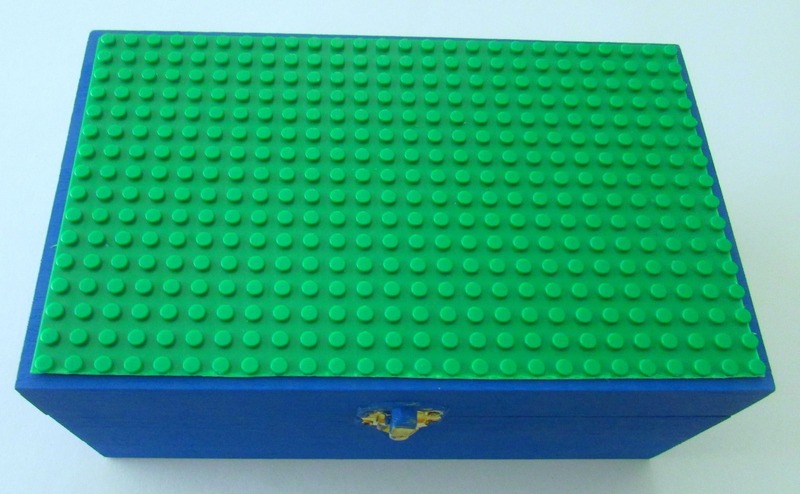 I attached the base Lego plate with hot glue to the top of the box. I considered a variety of adhesives but I really couldn’t think of a negative with the hot glue and it was easily accessible so it won! 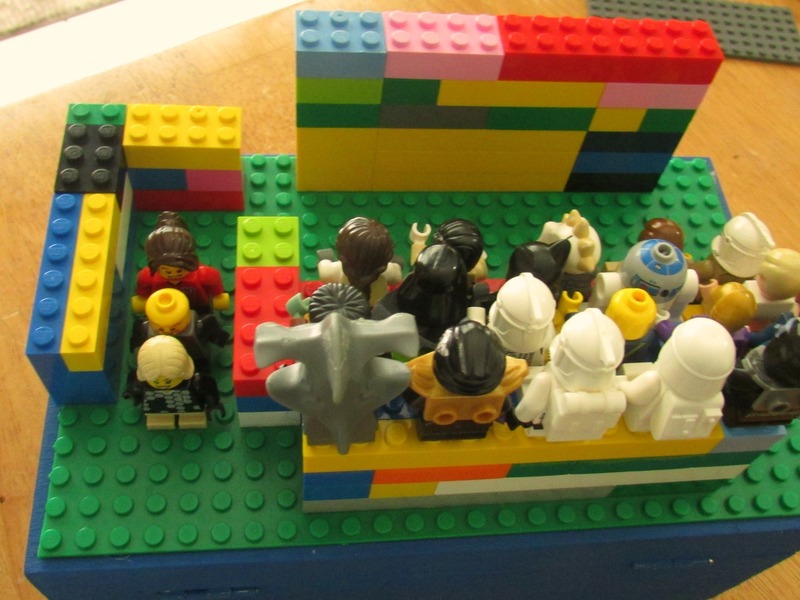 Griffin got right to work creating a scene with his minifigures(they’re all watching a movie, in case you don’t interpret Lego) and was busy for quite a while constructing his masterpiece. 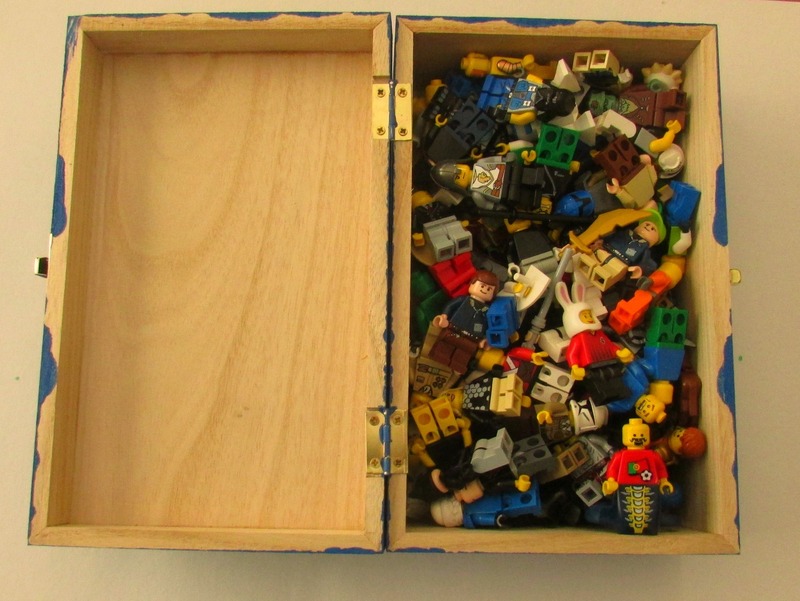 Last step, add the current favorites among the Legos, latch the box and you’re all set! 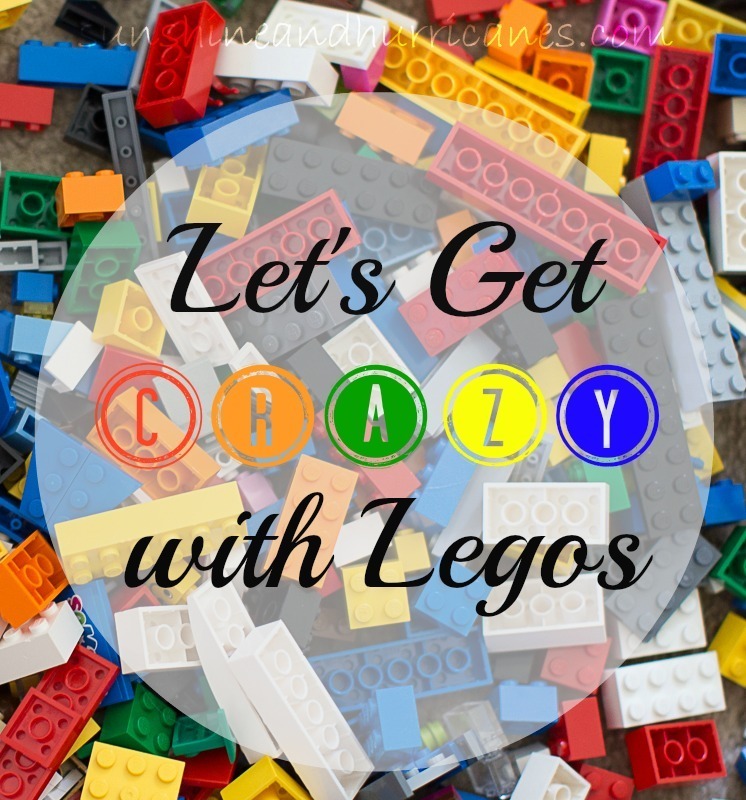 Such an easy and organized way to take the fun on a road trip, airplane ride, distraction for the doctor’s office, to a friend’s house, the possibilities are endless! This is so perfect! My daughter LOVES Legos (my dad loves them even more) and we travel a lot. I’m so making this before our ned road trip! What a fantastic idea! Kids would love this. Thanks for sharing! we have two trips planned this summer….one plane trip and one road trip. i think we will be making these to help with the “are we there yet?” question. thanks for the idea!!! My friend made my son one of these for a gift! He loves it! AWESOME – love this fantastic idea! I love this idea. When I made my kids lego tables last Christmas I used the the Loctite brand of epoxy (it comes in the syringe) and the plates have not budged. I was also super surprised to see how easy it is to cut lego plates to size.